I am just saying this software is awesome for its quick response. 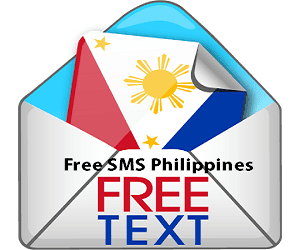 There are many free SMS texts online on the internet, but most of them were not sending instantly at the time you are sending text messages going to the Philippines. When I found this software, I decide to share it to all willing to send free SMS or text messages going to the Philippines. I found it free so I give it to you completely free. You can bookmark this page if you want, so that every time you need it, you can easily use it in one click. Just refresh this page if you want to send another sms message to any phone number. I hope you found this page as useful to you and if you think that this free sms messagessoftware is also useful to your friend and family, you are free to share it to them using social sites like Facebook, Google Plus, Twitter, and many more or you can send it them by email… enjoy!